All campers, Pre-K through 6th grade, participate in morning swim lessons. The campers are grouped into swim classes based on their individual skill level. 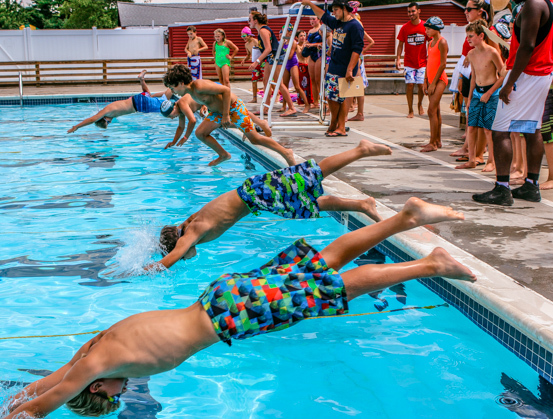 Our Red Cross certified instructors and lifeguards use the Red Cross’s “Learn to Swim” program to ensure that all campers, regardless of their current level, improve their swimming ability. One of the luxuries our campers have here at camp is that our pools are heated! We try to make those early morning swims a little more comfortable for our swimmers. 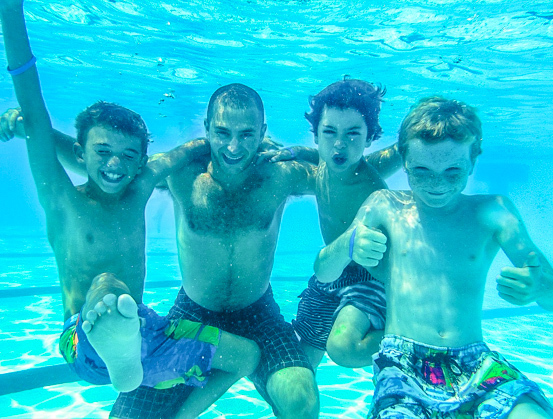 Another benefit of our facility is that our pools vary in depth, so all campers can adjust to a pool where they can stand, and overtime, when they are comfortable (and more confident), progress into deeper water. In addition to our daily instructional swim classes, campers also enjoy a period of Free Swim where they get to enjoy time in the pool with friends and counselors alike. With our certified lifeguards steadily on watch, campers can safely enjoy a turn down the slide or a friendly race to see who can touch the wall the fastest! For further consideration, as part of our aftercare program here at Oak Crest, we offer private swim lessons for our campers. 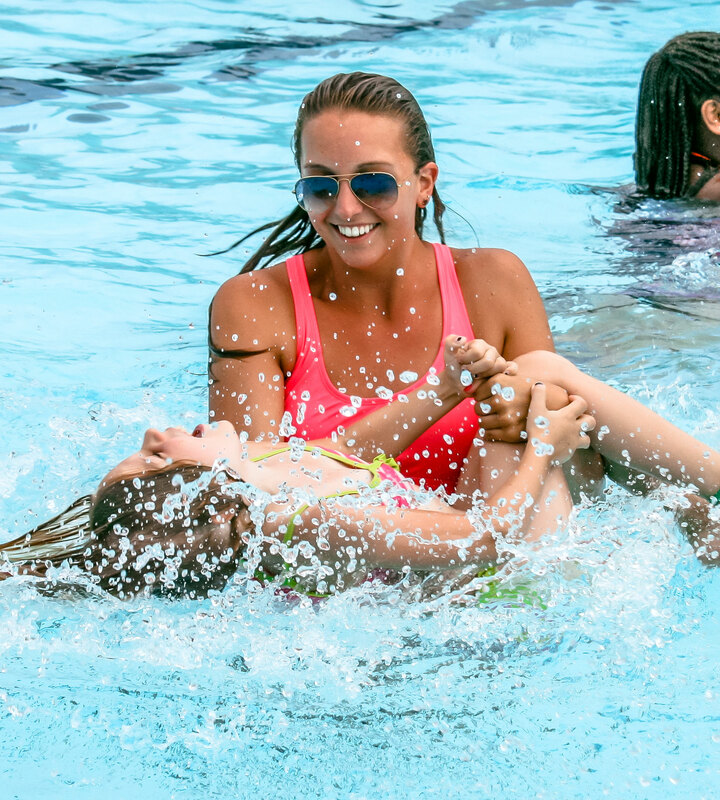 Our aftercare program allows parents to pick up their campers from camp as late as 6:00 pm, and the private swim lesson provides your child one-on-one instruction with one of our qualified instructors. For more information on Aftercare or Private Lessons, call the office at (732) 297-2000.